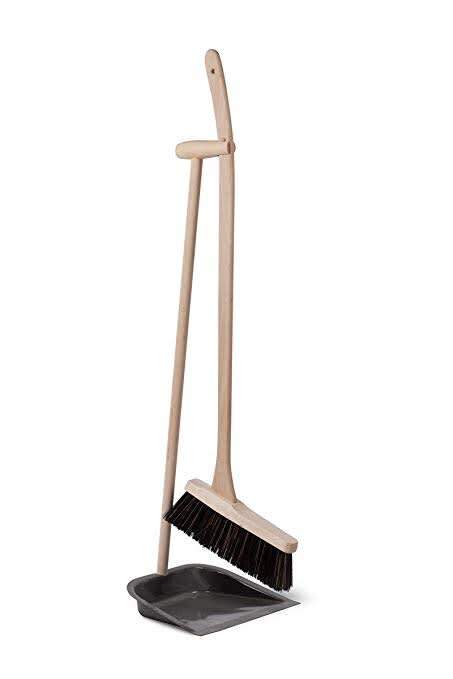 Dustpan and brush by Garden Trading Get swept away with our stylishly practical Long Handle Dustpan and Brush. Perfect for a range of household tasks it makes everyday cleaning effortless and versatile, offering precise and trouble-free sweeping without having to bend and stretch. Madeleine & Gustave in Bruxelles, Belgium.